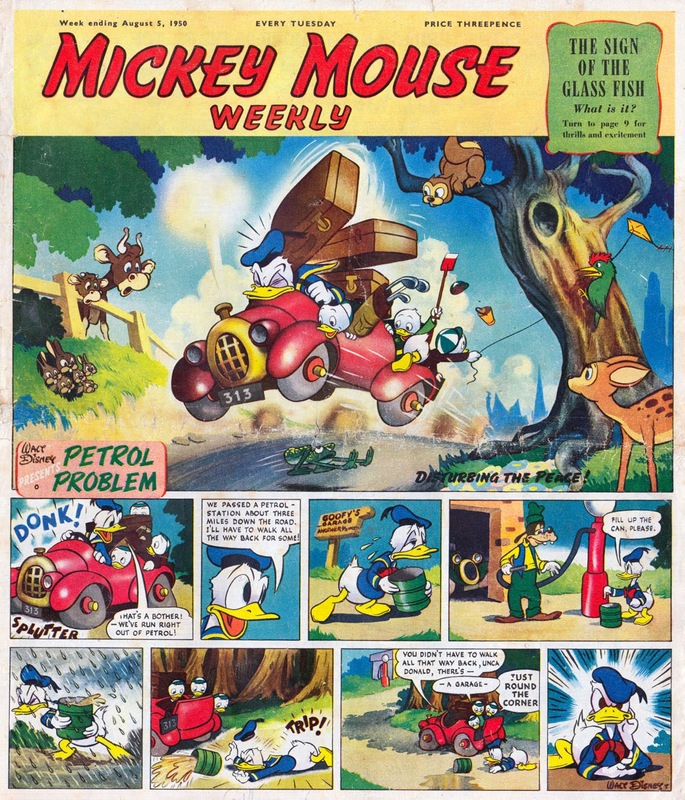 Mickey Mouse Weekly was the first British comic to take advantage of the glossy 'photogravure' process that was later used by comics such as Eagle, Girl, and TV21. 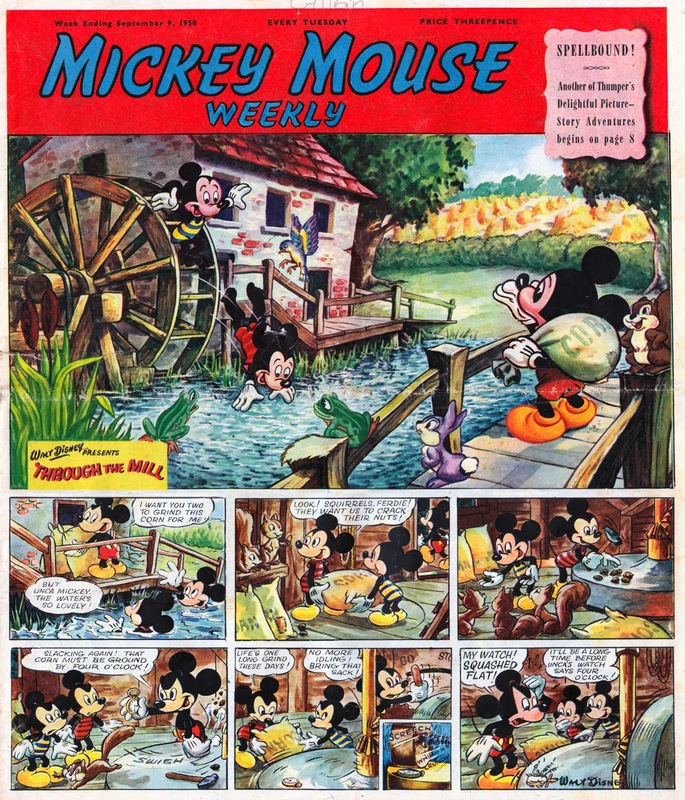 Launched in 1936, Mickey Mouse Weekly was published by Odhams and featured a mixture of American reprint and brand new UK material, and ran for 21 years until 1957. 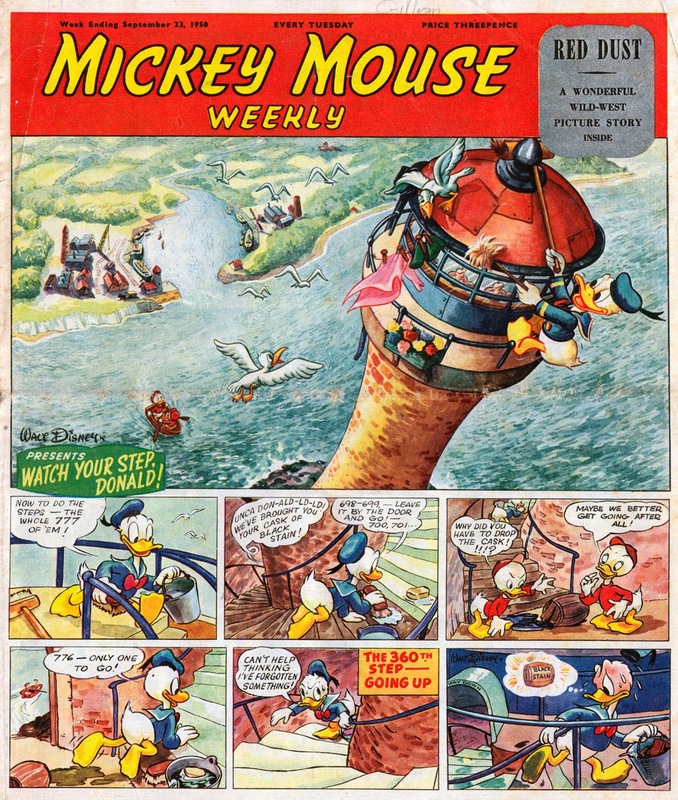 These comics only had 12 pages, but that was not unusual for the period due to paper rationing brought about through WW2. 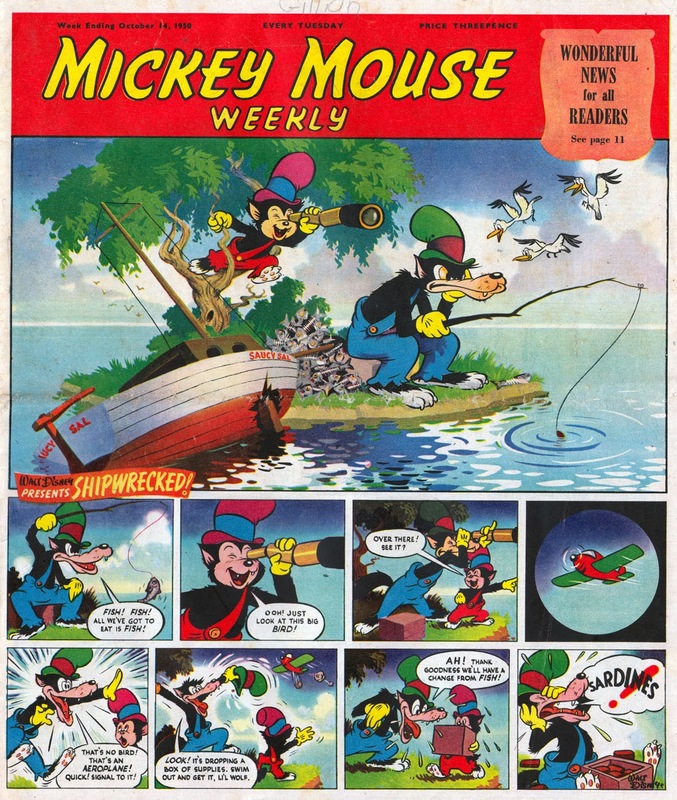 Many comics still only had black and white covers, or a splash of red spot colour, so the full colour exploits of the Disney characters must have really stood out amongst the newsprint comics. I hope you enjoy this selection. 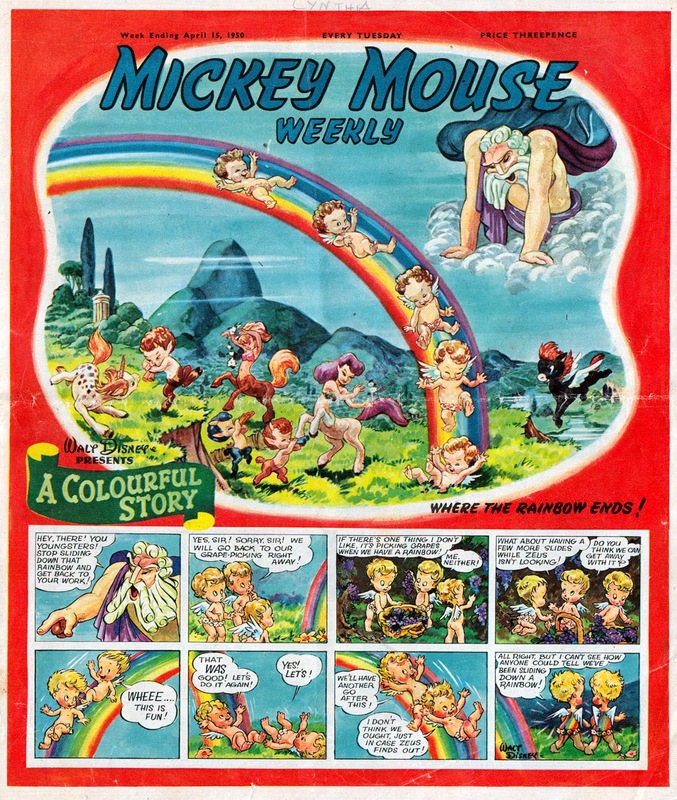 Click on the images to appreciate the pages in a larger size. I wonder if those splash panels are known in America at all or just for the european section..? Basil Reynolds was (before he died in 2001) part of a .. well, I thought well known family of artists.. His grandfather Warwick Reynolds worked on 'Judy' and 'Funny Folk', his son (Basil's Uncle) Warwick Reynolds Jr did work on things like Ally Sloper's Half Holiday.. and I think another member is a landscape artist..
anyway, they are great cover, nice colour and I always like the printing style which worked well for Disney that gave them a 'film cell' like look. Since that link with the erroneous Amalgamated Press takeover info was on Wikia, I was able to correct it. I removed the wrong info replacing it with the word Later. 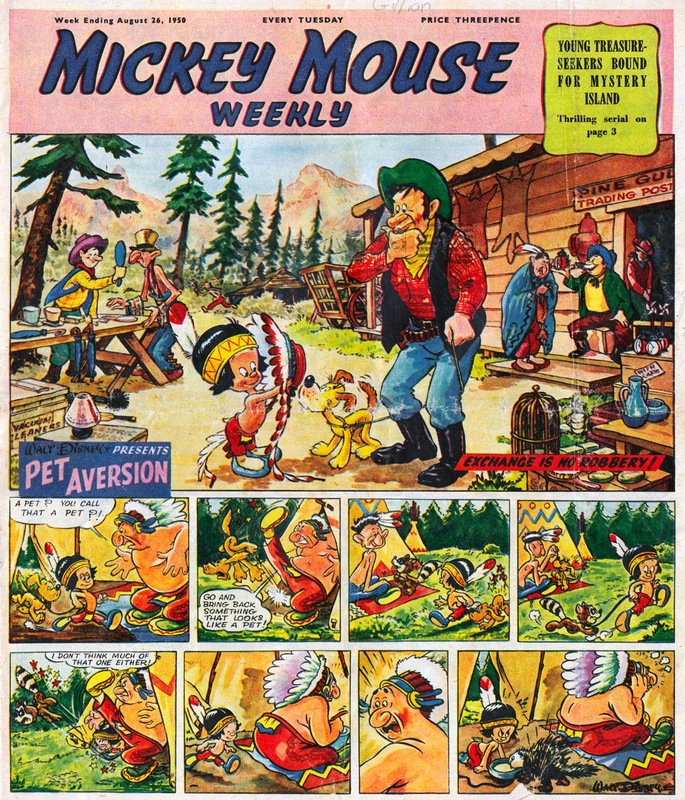 Yeah I do see how he could have influenced Ken Reid from that link Lew, very much like his Fudge era art - Wow a talented family from "Manic mans" reply sadly I'm ashamed to say I had never heard of this gentleman (or his family) until now - great stuff. They are fantastic, I have heard of it before but never seen any copies, beautiful. Basil was my Grandad and a fabulous man as well as an artist. His son Christopher followed in his footsteps and his grandson Chris is an excellent artist although he did not choose this career . It's a pleasure to hear from you, Heidi. Thanks for commenting. I think your Grandad's style was ahead of its time and would still be appealing to modern kids. You must be very proud of him.